The Delaware Sportsmen’s Conservation Association bought a farm 60 years ago outside of London, Ontario. Much of the farm was forested and Dingman Creek ran through the back of the property. 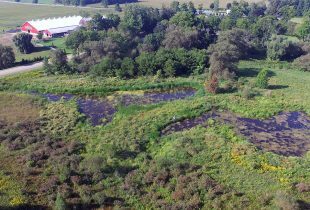 Their conservation commitment became official when DUC restored a 23-acre (9-hectare) wetland on the property. In 1978, the club members signed on to a conservation agreement to protect the property’s natural values. The agreement, which has no expiry date, was signed on behalf of the membership by Richard’s brother, then-president David Faulds. 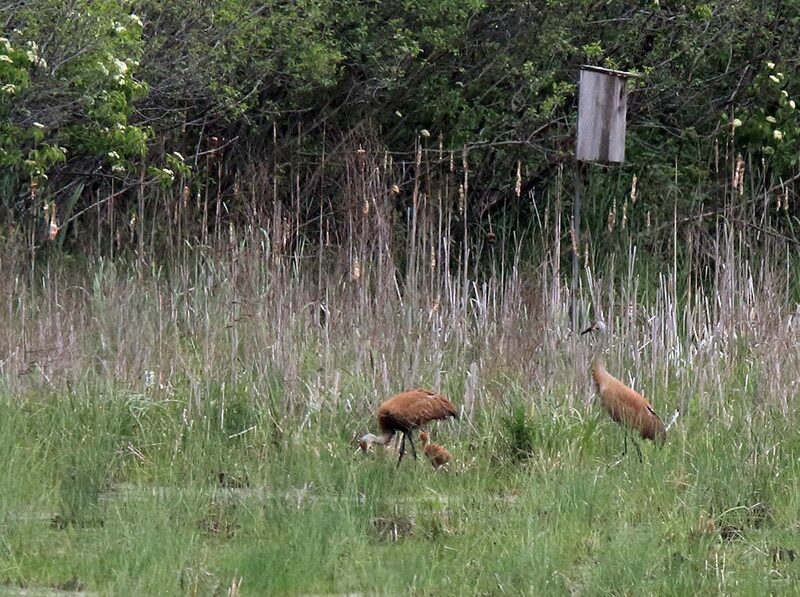 Four decades later, the wetland and surrounding forest habitat are rich with wildlife. Birders in the London area have come to know the place. News really travelled in 2000, with the discovery of a distinctive visitor. Birders flocked from as far away as Montreal for a rare sighting of an adult male anhinga, far north of their southeastern United States breeding grounds. Anhingas are dark, long-necked birds that look similar to a cormorant. No birder knows the wetland better than Gail McNeil. She conducts annual wildlife and habitat surveys as a volunteer for the Great Lakes Marsh Monitoring Program, which uses “citizen science” to track biodiversity in marshes. McNeil surveys birds, amphibians, insects and plants. 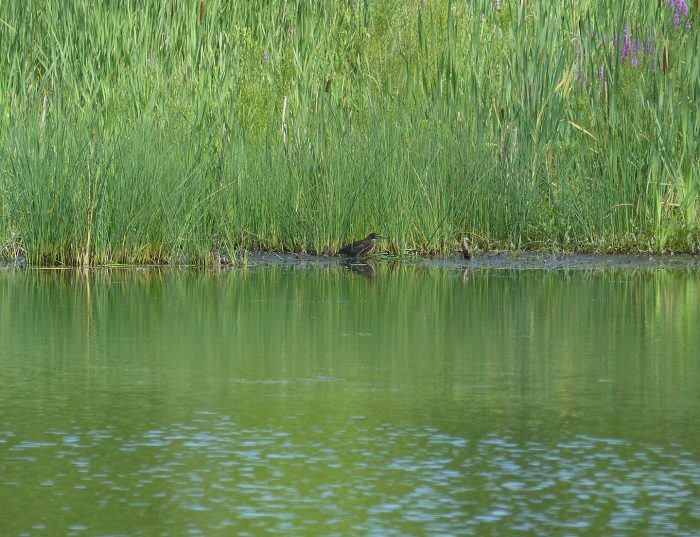 She has spotted an abundance of wildlife including species at risk—such as sora rails, least bitterns, and bobolinks “flitting in the cattails”. DUC recently returned to the Delaware property to oversee repairs and upgrades to the water-control structures and a dam was lowered to serve as an emergency spillway, building resilience against extreme weather events. Four decades after signing on to protect the habitat on their property, the membership has made the wetland an important part of the club’s waterfowling and outdoors tradition. 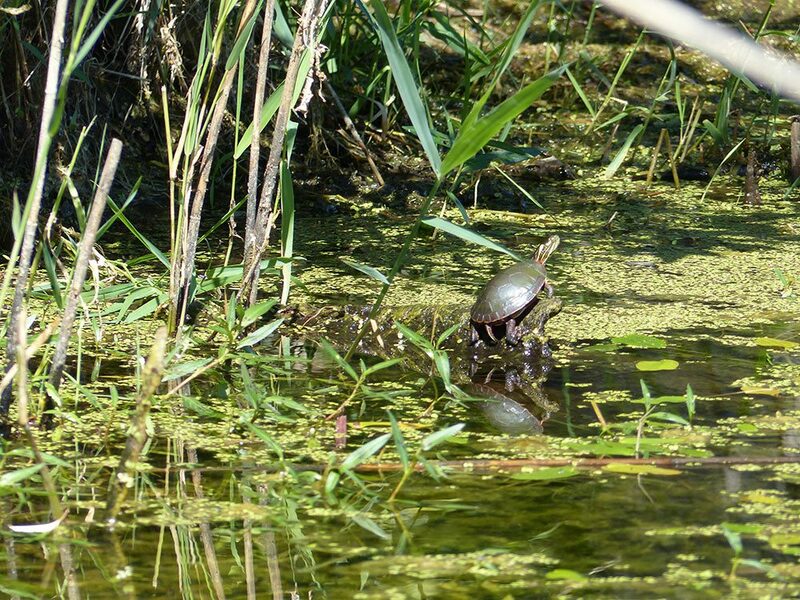 Canada’s wetlands are powerful ecosystems that support our way of life. Wetlands act as natural sponges that absorb flood waters. They capture and filter surface water before it continues downstream to rivers and lakes. They shelter hundreds of wild species, and the plants that grow in wetlands capture and lock away carbon, keeping it from being released into the atmosphere. Wetlands do all of this, but are being lost at three times the rate of forests. Our programs for landowners can help restore habitat and be part of a long-term management plan. 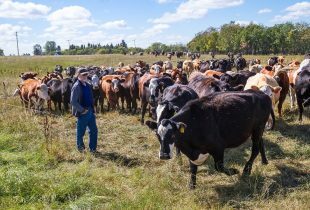 By replicating how bison used the land centuries ago, a Saskatchewan farm is fostering healthy soil and a healthy landscape. 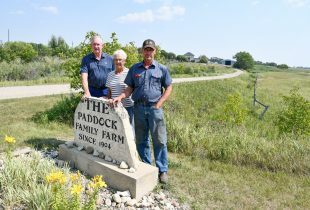 Gord, John and Russell Paddock join their mother, Alvina, to protect habitat at their Oak River, Manitoba farm.